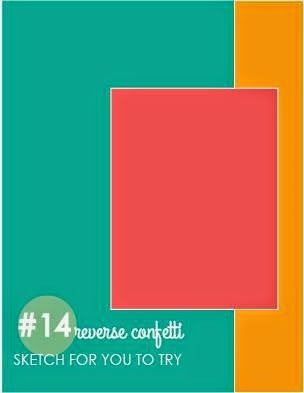 For the July Reverse Confetti Sketch for You to Try! I almost forgot to post this, not a good start to the week. This is going to be for my parent's anniversary. In August they will have been married for 65 years!! How is that for in it for the long haul? My mom and dad are the sweetest couple, my dad still drops my mom off at the door when they go out and they still hold hands when they walk together. To me they are the perfect role models for a good marriage. Love their smiles. How absolutely wonderful to be celebrating 65 years together. Their card is perfection Tracey. What an adorable card, Tracey! Love the bright colors and the beautiful way you used the sketch! The photo of you parents is so sweet! 65 years? Wow - amazing! Your card is lovely and how sweet that your parents are celebrating that milestone. 65 years? That is an amazing accomplishment...congrats to your parents! Cute card Tracey...love all the die cut elements! Awww! Congratulations to your parents! Your card is super cute! that is the sweetest photo.. 65 years is amazing.. this card is perfect.. This is perfect for them and look how CUTE they are ~ 65 years WOW!! Love the colors and the sentiment Tracey! Awesome card! It is very cute! & way to go Tracey's dad for still dropping Tracey's mom off at the door... So cute! FAB card--- love the paper designs and the way you've used this sketch! FAB!!!!!! 65 years....wow! That is wonderful Tracey! Congrats to them. What a blessing! ( my parents 59)the picture is so sweet . Your card is darling with those diecuts and pink and white. I love that sentiment - and the song it comes from. 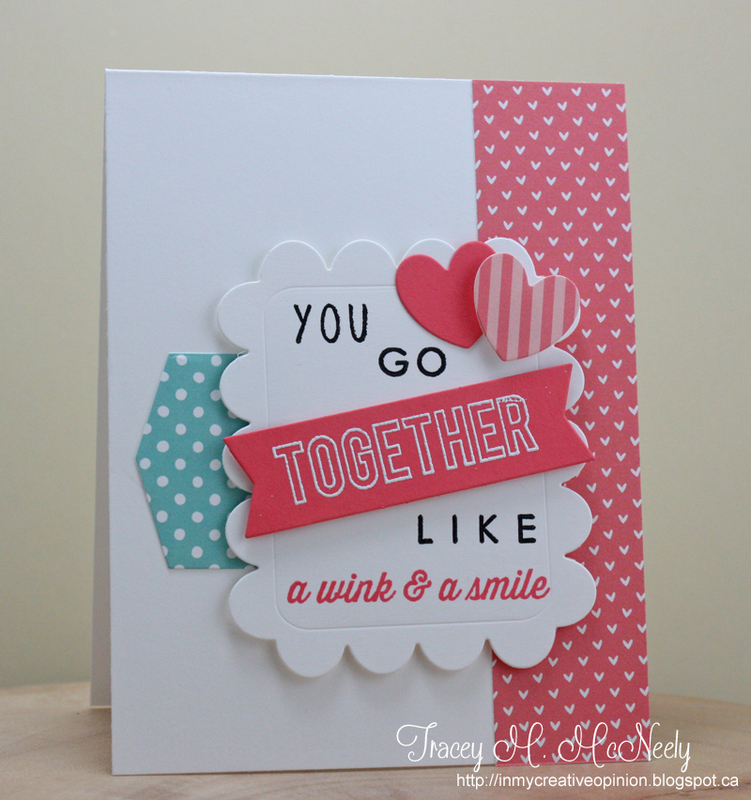 The card is wonderful and so perfect for a cute couple married that long. So sweet! What an adorable picture, and your card is perfect! Love that sentiment to bits! This is the PERFECT card for your parents! They look so sweet together, and I'll bet they loved it, too! How wonderful that you have such great role models in your life! TOO cute! Both your parents AND you card I mean. Wow, 65 years. That's amazing. God bless them. Your parents look like such a sweet couple. Congrats to them both on celebrating 65 years! Your card is precious--such great colors. They will love it! 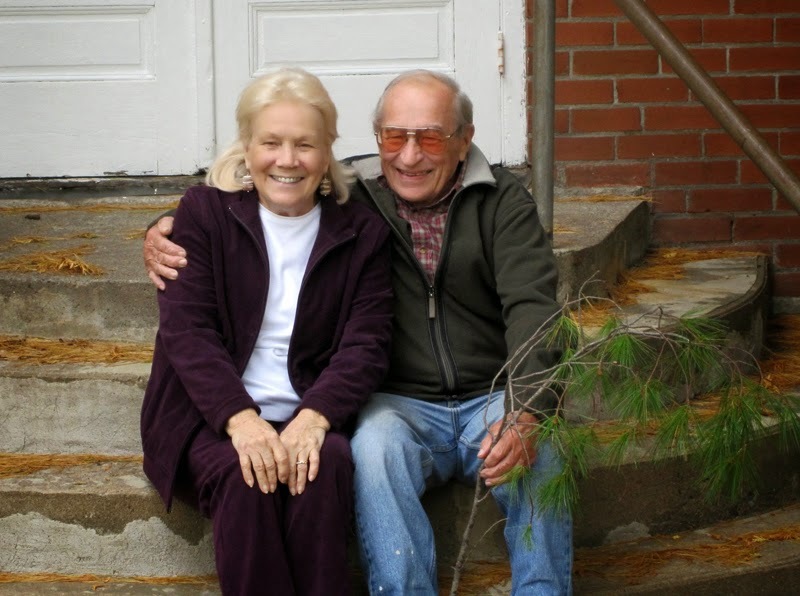 What an amazing, blessed milestone your parents are celebrating: 65 years! WOW! Please pass along Happy Anniversary wishes, and may there be many more! They certainly look and sound like a most adorable, sweet couple! Your card: precious, priceless and fabulous! 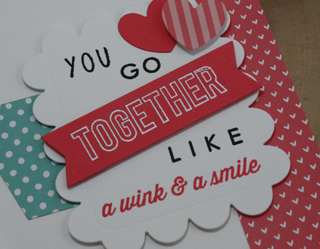 You go together like a wink and a smile...love this! !